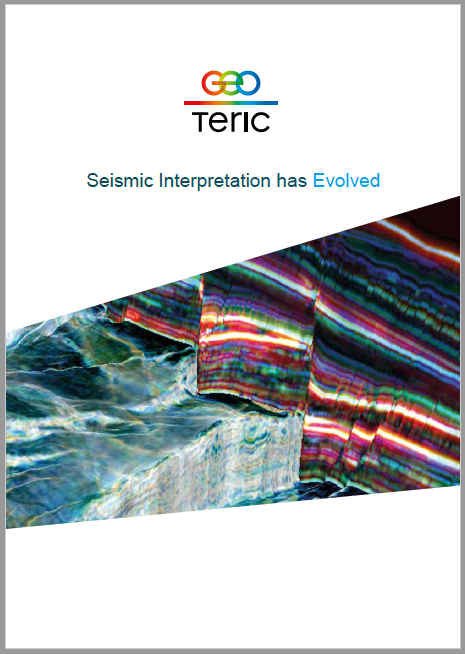 View our latest brochure on where we are today and where we are heading in the future of Seismic Interpretation. 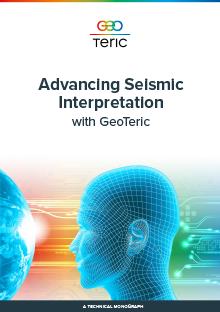 This collection of case studies brings together some of the key publications that GeoTeric has provided over the years. Frequency Decomposition (FD) color blending of 3D seismic data has become a mainstream technique used by oil and gas industry G&G specialists for imaging subsurface geology. The workflow involves creating frequency band-restricted components of the seismic data and blending these together into a single volume, typically using a three-dimensional, red-green-blue (RGB) color scheme. "The impact of faults and fluid flow on seismic images of a relay ramp over production time"
This paper shows how using data-driven interpreter-guided Geological Expression workflows can better reveal the stratigraphic component of geology and bring more comprehensive understanding to exploration and development targets. The use of 3D seismic data and its contribution to the success of an unconventional play is dependent mainly on the ability to predict reservoir properties such as total organic content (TOC), fracture density (brittleness), thickness, porosity, and mineralogy. Who said getting older had to be a bad thing? Not with the continuously advancing high tech world of exploration still finding newer approaches to familiar challenges. And not when explorationists and their companies willingly embrace the technological advances that are proving to be valuable tools. First Break... "Geological Expression: data driven–interpreter guided approach to seismic interpretation"
First Break... "Seismic imaging of thrust faults and structural damage: a visualization workflow for deepwater thrust belts"
GEO ExPro, Vol 9, No 3.. "Geological Expression-a new angle on seismic interpretation"
Scandinavian Oil and Gas... "Geological Expression-the future of seismic interpretation"
Seismic Profile... "False Perceptions : Visual Illusions in Colour Attribute Blending"
Seismic Profile... "Geological Expression : Data Driven Interpreter Guided Seismic Analysis"
Seismic Profile... "NVIDIA Cuda : CPUs vs GPUs"
Scandinavian Oil and Gas... "Perception of Visual Information"
First Break: Understanding Seismic thin bed responses using frequency decomposition and RGB blending. ffA Poster: Perception of visual information; What are you interpreting from your seismic. ffA Presentation: Frequency Decomposition Methods Applied to Synthetic Models of the Hermod Submarine Fan System in the North Sea. ffA Presentation: Perception of visual information; What are you interpreting from your seismic. ffA Poster: Adaptive Geobodies™: Extraction of complex Geobodies from multi-attribute data using a new Adaptive technique. ffA Presentation: High Definition Frequency Decomposition and its application to Carbonate and Clastic Data. ffA Presentation: The application of Seismic Analysis Techniques for the identification of Structural and Stratigraphic Features in Carbonate Environments. Abstract : On the Perception of RGB Multi-Attribute Displays. American Oil and Gas Reporter article: "Technologies Enhance Eagle Ford 3D." Drilling & Exploration World Journal... "Understanding fault seal risk through 3D Seismic Analysis"
ffA Oral Presentation: "Investigation of Fluid Migration Pathways Using Volumetric Seismic Damage Zone Analysis"
ffA Oral Presentation: Thin beds: Seismic analysis workflows to extract hidden events. DEW: Drilling & Exploration World article: "The Future of Seismic Interpretation." Article: "Seismic analysis workflow for reservoir characterization in the vicinity of salt." ffA Presentation: "Spits, channels and beaches: Advanced imaging and delineation of Jurassic and Triassic stratigraphic targets"
Presentation: Data conditioning and seismic attribute analysis in the Eagle Ford Shale Play: Examples from Sinor Ranch, Live Oak County, Texas"
Article: "Seismic facies analysis featured in software release." Palaeozoic Carbonates from the Subsurface Barents Sea Part I: Buildup Distribution, Geometry and Development. Quantifying the Temporal and Spatial Extent of Depositional and Structural Elements in 3-D Seismic Data Using Spectral Decomposition and Multi-attribute RGB Blending. Interpreter Driven, Interactive 3D Multi-Attribute Classification. Presentation: "Investigating fault sealing potential through fault-relative seismic volume analysis." Article: "Lowering the cost of High Performance Computing"
Seismic data contain a vast amount of information regarding different properties of the imaged geology. Unravelling the disparate types of information to produce an accurate and detailed subsurface model is a primary purpose of seismic interpretation. Presentation: "Determining fault seal indicators from seismic data."